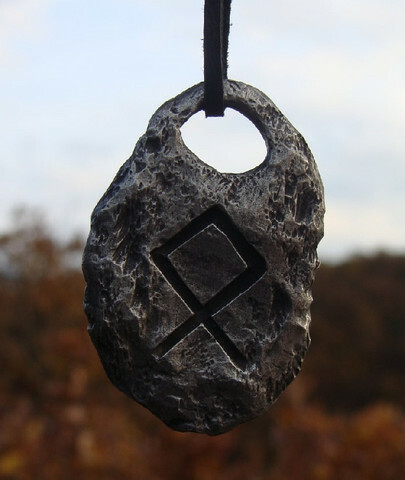 ODAL, Elder Futhark Rune, pendant. Size: 2.5 x 3.8 cm. Material: patinated tin. Tight cotton included.